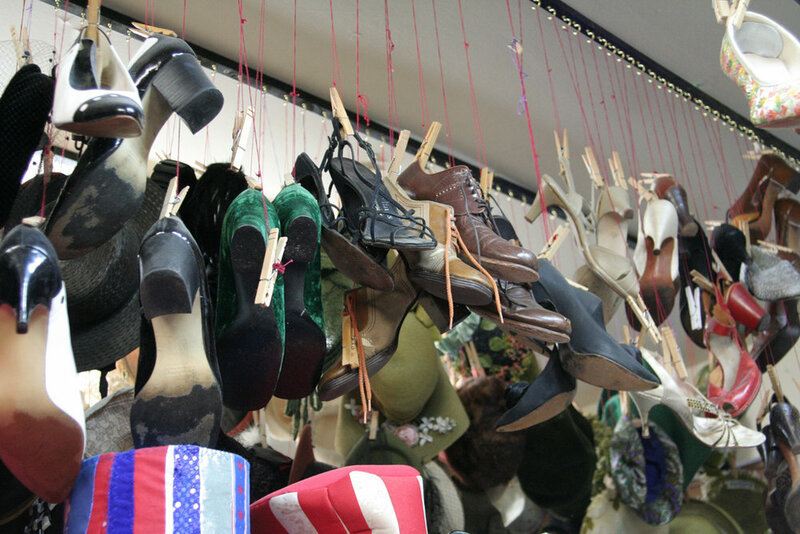 The Madison Theatre Guild’s Costume Shop is one of Madison’s lesser known treasures! One of the largest collections of its kind in southern Wisconsin -- housing more than 70,000 costumes -- the Shop has become a depository for old, new, and interesting clothing. The Costume Shop is located in the upstairs of the Firehouse and has 8 rooms packed full of clothing, including shoes, hats, gloves and undergarments of all periods. Madison's go-to costume shop for theater and any occasion! We have the largest selection of rentable theatrical costumes and props available in Madison. Many theatre companies use the Shop to costume their productions. There is CONSTRUCTION on Monroe Street. Please email info@madisontheatreguild.org to make arrangements for rentals and returns.